The day you say yes to your dress should be as memorable as the day you wear it. We are a boutique bridal salon located in the charming Historic District of downtown Newburgh, IN. We focus on presenting brides with quality, beautifully constructed modern designs that perfectly suit each bride’s unique style and wedding day vision. 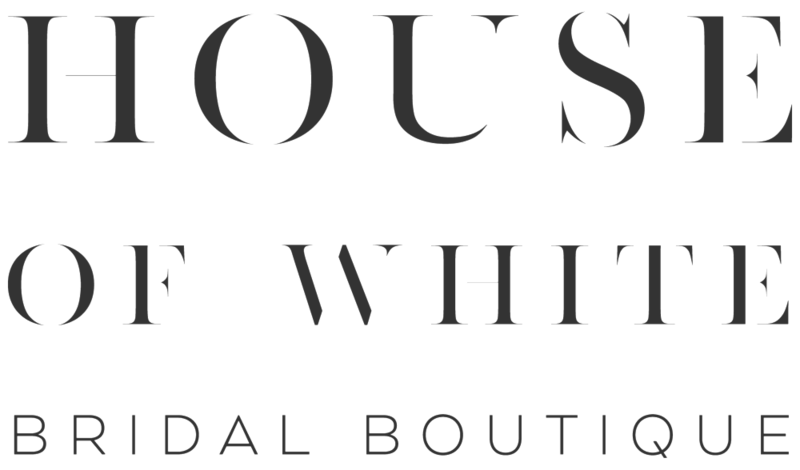 House of White is proud to carry an extensive collection of skilled, innovative designers who produce unforgettable designs and quality pieces. Browse our gallery of stunning photoshoots, photographed here in the Midwest. Pre-order a bottle of champagne and we’ll have it chilled and ready to “pop” when you arrive! Browse through wedding albums to see our beloved real House of White brides. “This place is the creme de la creme! Everything was fabulous from the drinks ready when we arrived to the continuous accommodations from my stylist. The entire vibe of the place will just put you in a mood of your own! So impeccable that I bought a second dress for a wardrobe change. I will forever be thankful, House of White!"